Head to Outdoor Retailer and you’ll be drowning in Hydro Flask knockoffs, at CES it’s bad external battery packs, and at men’s lifestyle events it’s a whole lot of samey beard oil. Firsthand Supply stands out in the exploding men’s luxury toiletry category with products that smell incredible and work even better. 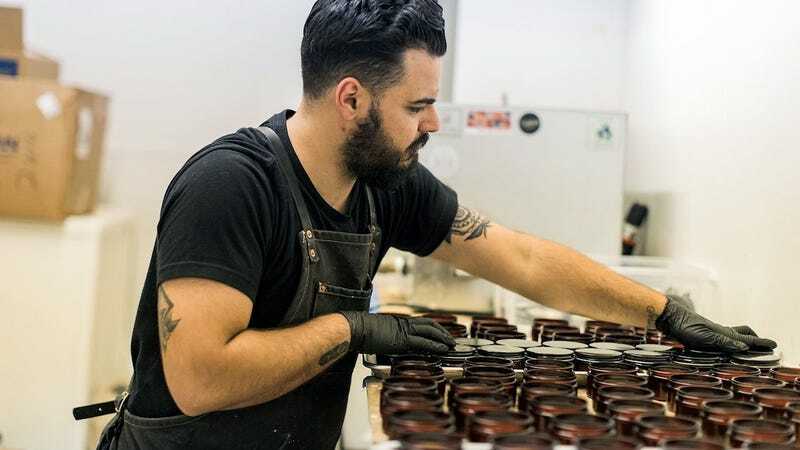 Firsthand’s pomades, available in water based and clay varieties, offer a firm but malleable hold without crunchiness or the dreaded looks-wet-all-day effect. And we’re not kidding about the smell, this is people asking to smell your hair levels of good. Please, please, just ship all cologne in roller bottles. Firsthand’s oil-based cologne comes in three great scents that roll on easily and stay with you all day. I’m not going to tell you Firsthand reinvented the wheel with their lip balm, but all the ingredients that matter, and nothing else, are present and accounted for and well-balanced. Great hand soap is underrated and underrepresented, and Firsthand’s is good enough to make you look forward to getting that damned spot out. Firsthand’s candles made our very competitive shortlist.